Buying behavior has changed, find out how this impacts cleantech's bottom line. 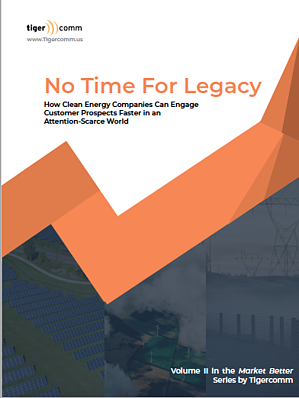 Across clean economy sectors, sales and marketing teams we talk to share a growing frustration: It’s gotten harder to get customer prospects to engage. They’re all too familiar with sending that 7th “touch base” email to a prospect they’ve connected with at the trade show and hearing nothing back. How Americans buy things has fundamentally changed, extending all the way to purchase decisions for a commercial solar project or contract to service a wind farm.